Every holiday season at the store I would mix up a great many batches of several different types of cookies and sell the dough. I sold a lot of cookie dough! It really made cookie baking for the holidays extremely less stressful, since you could buy the dough in advance and store it in your freezer until you were ready to bake them. Hands down this was the number one cookie during the holidays. Once you bake them you will understand why. 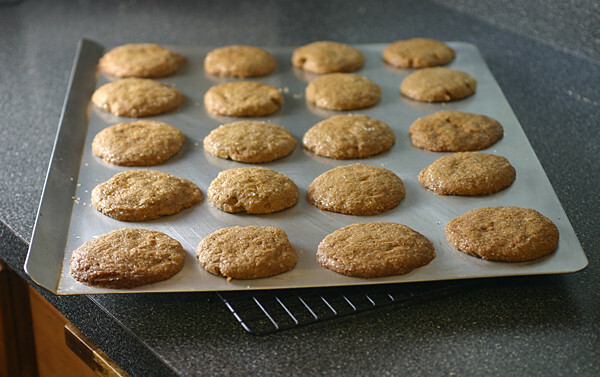 They are not your traditional ginger cookie, each bite has a little surprise and an edge you don’t often find in cookies. The three types of ginger are fresh, candied and dry! Such an awesome combination that leaves the cookie crisp on the outside and moist inside, then you go ahead and drizzle them with lemon icing. There is nothing finer to add to your cookie tray! 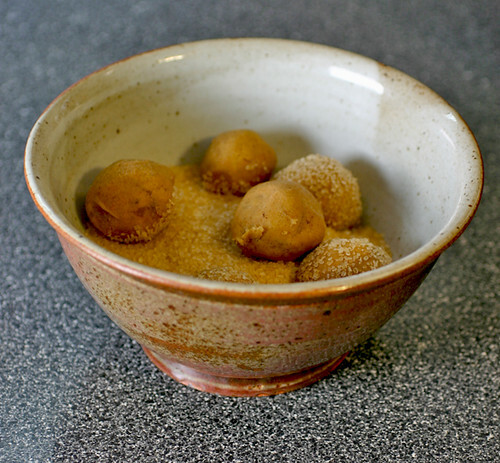 Scoop and roll dough into 2 ½” round balls. 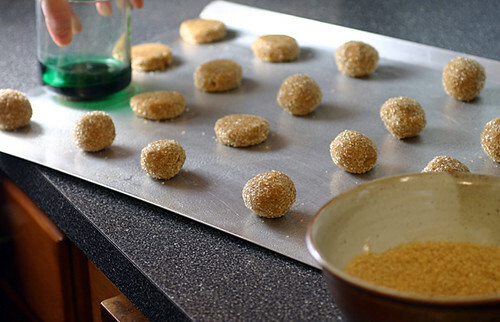 Coat with Turbinado Sugar (sugar in the Raw) and place on greased cookie sheet. Flatten the balls with the bottom of a cup. Cool completely before drizzling with icing. 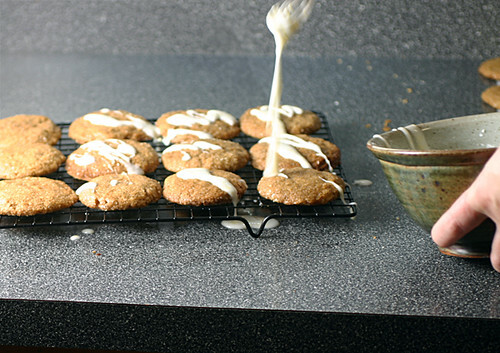 These cookies are SO DELICIOUS, my mouth is watering just reading the recipe! !